1743 - Thomas Jefferson, principal author of the American Declaration of Independence, Notes on the State of Virginia, and the Virginia Statute for Religious Freedom; as third President of the United States, he nearly doubled the size of the country with the Louisiana Purchase. He was also a lawyer, farmer, inventor, linguist, mathematician, and scientist, and is considered one of the most brilliant people ever to hold the office of U.S. President; his legacy is clouded by the contradictions between his written advocacy of individual liberty and his reliance on slave labor on his own plantation. 1828 - Josephine Elizabeth Butler, British writer and activist who was especially concerned with the welfare of prostitutes; she led a campaign for the repeal of the Contagious Diseases Acts both in Britain and internationally. 1891 - Nella Larsen, American novelist and short-story writer of the Harlem Renaissance, who was also a librarian and a nurse. 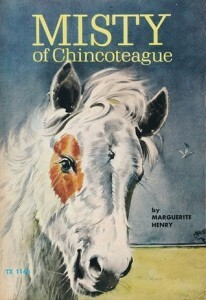 1902 - Marguerite Henry, multiple Newbery Medal-winning American children's book author, best known for her novel Misty of Chincoteague. 1906 - Samuel Beckett, Nobel Prize-winning Irish playwright and writer; the Nobel committee praised his writing, which "in new forms for the novel and drama - in the destitution of modern man acquires its elevation." 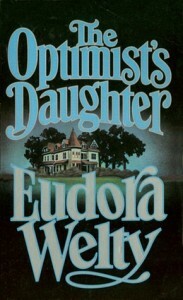 1909 - Eudora Welty, influential Pulitzer Prize-winning American author of novels and nonfiction about the American South. 1916 - Edna Lewis, African-American chef and author best known for her books on traditional American Southern cuisine. 1922 - John Braine, novelist associated with the Angry Young Men movement, a loosely defined group of English writers who emerged on the literary scene in the 1950s. 1938 - Olawale Gladstone Emmanuel Rotimi (best known as Ola Rotimi), a leading Nigerian playwright and theatre directors. 1939 - Seamus Heaney, Nobel Prize-winning Irish poet, writer, and translator whose "works of lyrical beauty and ethical depth ... exalt everyday miracles and the living past." 1940 - J.M.G. Le Clézio, Nobel Prize-winning French-Mauritian-Breton novelist and professor. 1949 - Christopher Hitchens, British author, essayist, journalist, columnist, orator, and critic who concentrated on politics, literature and religion. 1963 - Garry Kimovich Kasparov (born Garik Kimovich Weinstein), Azerbaijan-born writer and political activist who is a Russian chess grandmaster and a former World Chess Champion, and whom many consider to be the greatest chess player of all time.